Somabay named its Easter Festival this year ‘Back to Life’. Bringing Mrs. Saxobeat herself, Alexandra Stan, to breathe the life back into our bodies. 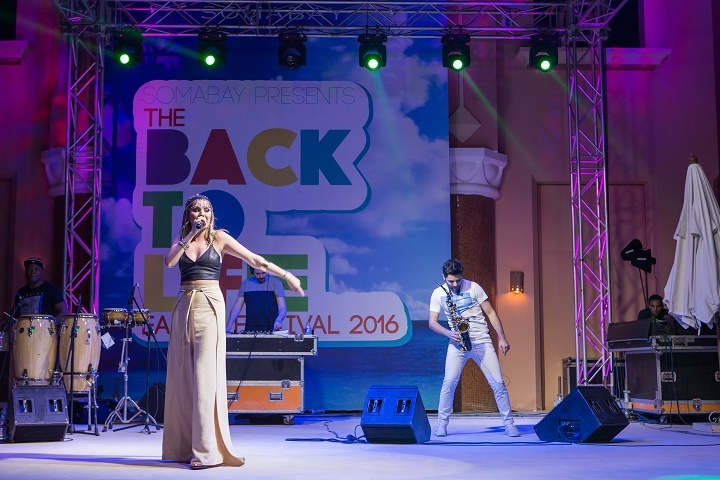 The Romanian singer performed her 2011 hit, Mr. Saxobeat, at Somabay’s famed Marina on April 22nd – Somabay still has a lot for you this Easter. With Free Stay, Amadeus, saxophonists Darryl John Kennedy and Ahmed Zaghloul, Zako the Guitarist, and the solo singer Dina Salah each set to grace the Marina with a performance from April 23rd to May 2nd, you are bound to have a memorable time! The festival also presents a great opportunity to spend some quality time with the family as there will be a lot of fun activities you can do with the kids, with everything from aqua fields, arts, bicycles, crafts and Easter egg hunts to face painting. Previous articleThe newest technological breakthrough in professional hair science for damaged treatment innovated by the experts only for the experts for long lasting results.